Baby Hazel Learns Vehicles is an educational game that teaches your child the difference between a wide array of different vehicles. During the course of this game, your kid will learn a lot about these different vehicles. 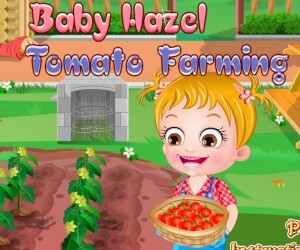 At the start of the game, your child will help Baby Hazel as she gets ready for school, from making sure she gets all of her books, to grabbing her lunch, and making sure she has her name tag. Once she gets to school, it is time for her to learn about different vehicles, from Airplanes to Dump Trucks, the teacher shows the children the different uses for all of these vehicles. They will not only learn about these vehicles, they will also get a much needed lesson in spelling, as they are asked what letter the vehicle starts with. Once this lesson is learned, there is a lesson on how some different vehicles work. They are given a picture and they are asked to put the vehicles where they belong (e.g. to the sky or to the road), so they will learn the use of all of these different vehicles. After all this learning, it is time for lunch, where the kids are taught the proper table manners, and Baby Hazel is given a good lesson in sharing. Once they are finished with lunch, it is time to go outside and get to see many of these vehicles in action. Once there, the teacher will let the children fly a remote controlled plane, ride in a miniature plane, drive a car, and learn how to row a boat. After all of this is done, the kids are free to go home for the day. 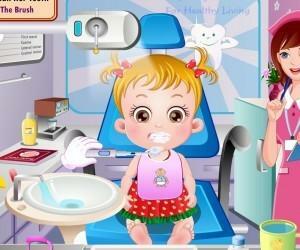 Baby Hazel Learns Vehicles is a great game for your child. It is a great learning tool for your kids that are getting ready to enter preschool, as well as the kids that might already be there. Best of all, it is an educational game that they are sure to learn a lot from!